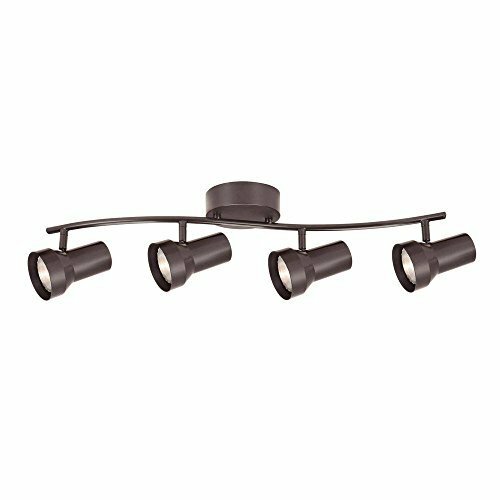 Hampton Bay 4-Light Fixed Track Lighting Kit PAR20 50W, both Brushed Nickel and Bronze are available. Features with Wave Bar and Metal Shade, Medium Base socket. Heads pivot and rotate to direct light where it is needed most. Good choice for decorative location like living room, kitchen, bedroom and other rooms that high-end fixed track fixture required.